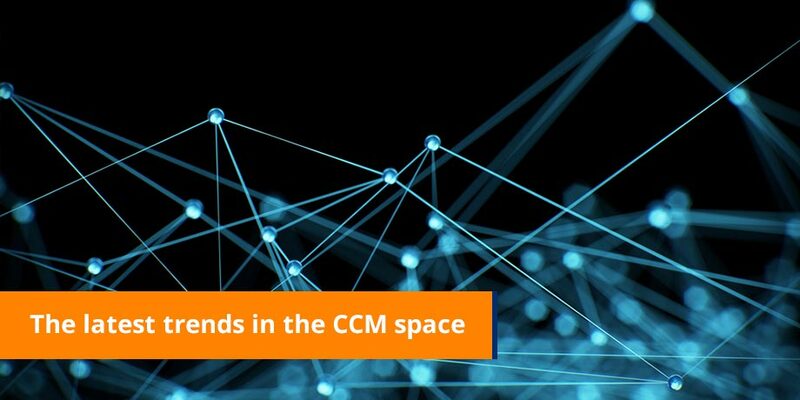 What’s the latest in the Customer Communications Management (CCM) space? Your subscription to our eBilling insight newsletter will keep you up to date on industry trends, innovations and success stories under its new title ‘CCM insight’. The market today is making a notable shift from paper toward digital. Likewise, the CCM landscape is changing from a print heritage into the digital space. As the image below indicates, the market shift toward digital also brings a higher demand for interactivity and security. Are the digital models on offer generating the desired result? Not really. Most solutions today are ‘pull’ based websites that demand action by customers to navigate a series of security gates in order to fetch documents. Most companies that offer this as the only digital solution are experiencing a plateau in adoption rates as only early adopters and a few laggers have signed up. 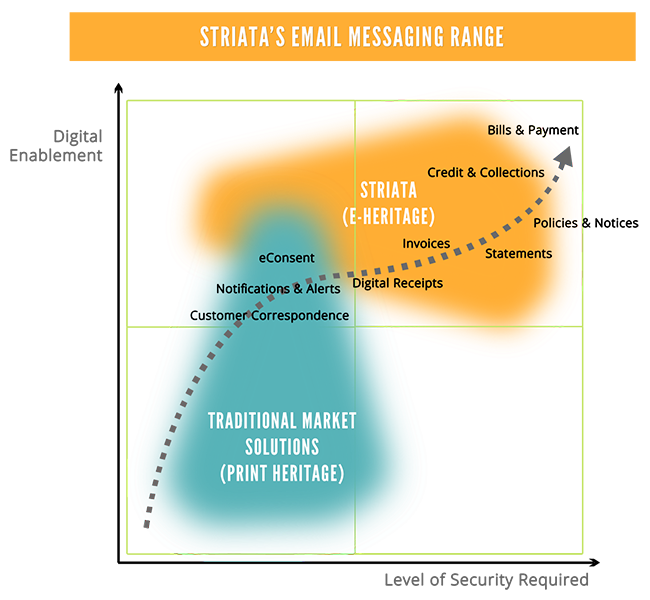 In this graph, Infotrends indicates a decline in adoption of this ‘pull’ model while the market ‘pushes’ for email and mobile solutions instead. How do we meet the market demands for highly secure digital solutions? Are your customers demanding a better digital experience? Does the question of going digital raise security concerns? Are you getting the adoption results from your current solutions? 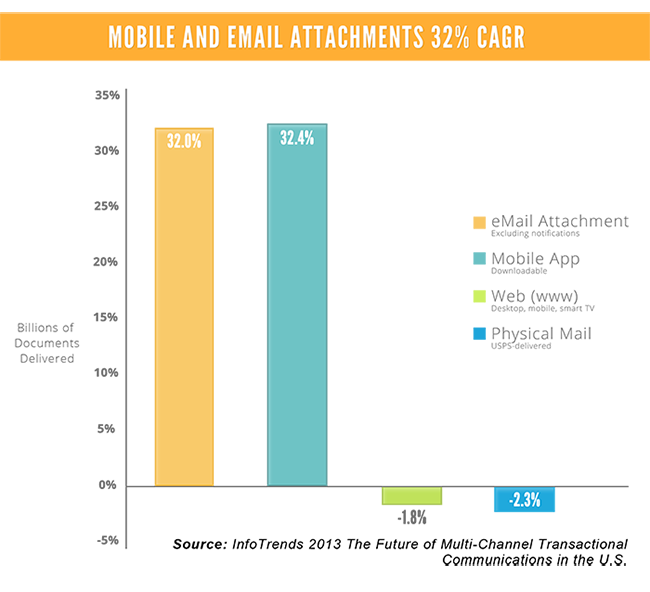 How are you positioned to meet the ever growing mobile demand? We can help you create an optimal paperless strategy that is quick to implement, achieves rapid results and will get your customers to turn off paper for good.